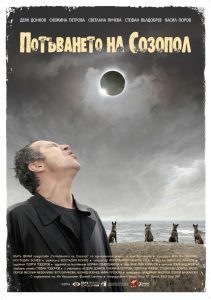 Bulgarian movie The Sinking of Sozopol has received seven nominations at the New York City International Film Festival, including the one for best movie. The announcement was made by actor and musician Stefan Valdobrev on his social media profile. The film based on Ina Valchanova’s novel tells the story of a 50-year old architect who heads to Bulgarian seaside resort Sozopol along with his unwavering companion – alcohol. Director of the production is Konstantin Bonev, and the main characters are portrayed by Deyan Donkov and Snejina Petrova. Among other popular participants in the movie are renowned actor and musician Stefan Valdobrev, Veselin Mezekliev, Leonid Yovchev and Svetlana Yancheva. The Sinking of Sozopol is part of the official selection of the festival in New York City, and has received nominations in the categories for best movie, best director, best actor in a leading role, best actress, best supporting roles, as well as best cinematography.